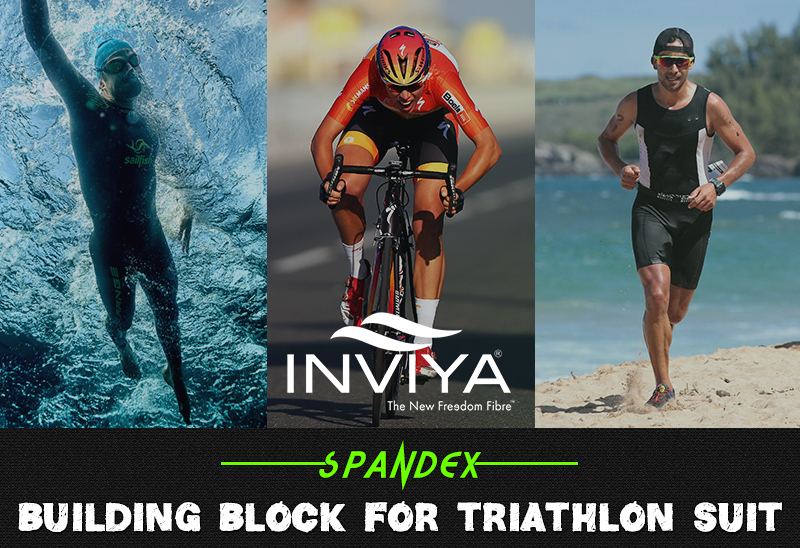 Thus Spandex fibre which when paired up with other fibres becomes best choice for manufacturing a triathlon suit. The other fibres which are paired up with the spandex to manufacture a tri-suit are mainly Nylon and Polyester. The nylon and polyester fibre are combined with spandex fibre via knitting process, hence producing a knitted fabric used for manufacturing the tri-suit. The high-end tri-suits manufacturers primarily prefer to use nylon fibre over polyester fibre with spandex to get over-all high end product and desirable properties.